Get ready to dance ! 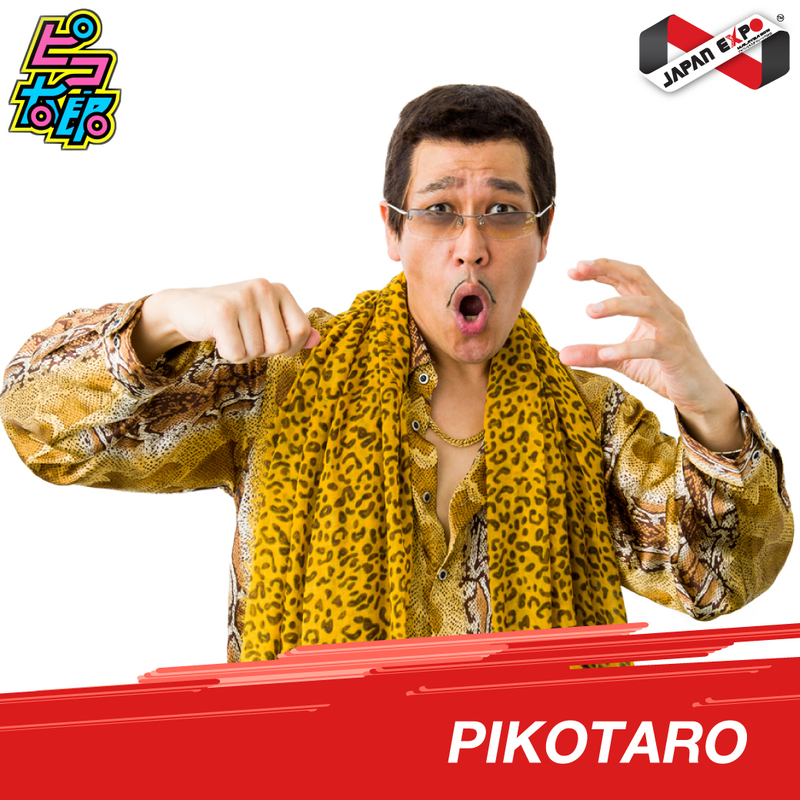 We are pleased to announce Japan Viral-Hit Pop Sensation that goes worldwide, “Pen Pineapple Apple Pen” (ペンパイナッポーアッポーペン) by PIKOTARO, will be performed at Japan Expo Malaysia 2018 in Malaysia!! Pikotaro is fictional singer-songwriter created and portrayed by Japanese comedian Daimaou Kosaka. It was released as a music video on YouTube on 25 August 2016, and has since become a viral video. As of June 2018, the official video has been viewed almost 200 million times, spawned parodies, and has been hailed as the new “Gangnam Style” by various newspapers and online media. The single itself reached number 1 on the Billboard Japan Hot 100 chart and became the shortest single to chart on the Billboard Hot 100. At the end of 2016, the songs charted at number 6 on Japan Hot 100 Year-end Chart.